Math Workshop: Where Do I Start? Yes, my major was language arts. Yes, my masters degree was a masters of arts with a reading specialist endorsement. Yes, I'm a literacy and reading person. But I have a confession. I LOVE teaching math. Math was my minor in college so it wasn't that I didn't like it - language arts was just always my thing. I'm good at math but I'm not great at math...especially anything advanced! My love for teaching math didn't happen until my last few years in the classroom. We had been using the workshop model for writing and reading so the district began pushing for math workshop as well. At the time, there was VERY little information out there about math workshop. Our professional development consisted of other teachers in the district who had already tried this format showing us how they did it. I was intrigued. Was this the push we needed to make math more fun and hands on? My teaching partner and I searched and searched for professional books we could read but we came up short. So we learned by trial and error. During our first attempt we had the class divided into three groups (high, medium, low) and students had three rotations a day (teacher station, practice, game.) The perk of this was that we saw every student every single day. Awesome, right? Well not so much. The group sizes were too big to be considered small group. Plus there was a lot of planning and prep to have new stations/centers each day. Teaching a mini-lesson was great each day but we needed more time some days when the concepts became tricky. We were moving in the right direction but we weren't there. The next year we changed our approach after our principal said in a meeting...you don't need to do workshop everyday. What? Maybe this was the answer. We could have this new format some days and still have other days when we could teach longer lessons or games. Sounded good to us. So we had Monday and Tuesday as our longer teaching days. We would teach longer lessons and explain some of the games and activities that they would complete that week in math workshop. The other three days we taught a mini lesson and then had two rotations. We broke the class into 5 groups (much more manageable) and had 6 rotations during the week. So instead of planning 3 rotations a day, we only had to plan 6 for the whole week. Much, much better. All of a sudden, I fell in love that year. Head over heels in love with teaching math. I was excited. My students were excited. It wasn't just teach a lesson, do a worksheet. It was engaging and hands on. It allowed me to spiral my curriculum to ensure that my students truly mastered concepts. My second graders were thinking, talking, and teaching math to one another. It was awesome! And thus began my love affair with teaching math. Now it wasn't perfect and there were still drawbacks. Our biggest struggle was to create new games and activities each week, while still prepping and planning for all the other subjects. I think that is why most of my TpT store is devoted to math activities. I know how overwhelming it is to try to plan that many activities each week so if I can save another teacher some time, I'm all about it! 1. The teacher can see a small group or confer individually while the other students are engaged in other activities. 2. Each center can have a different focus so that students can practice the current topic but still review other topics already taught. 3. Differentiation is made easy by the games and activities you put at each center. 4. Students get the chance to move around and work on more hands on activities. The format and organization is different for every teacher. As you can see from my experience, I needed to try a few different ways before I found something that worked for me. Make it your own! There is no right or wrong. When you are starting, realize that you and your students are learning. It won't be perfect the first time. You will want to bang your head against the wall at first. The volume will get so loud from all of those excited little mathematicians that you will want to scream. But it will be okay. Start slow. Set high expectations. Practice the routines. Stay organized. It helped me in the beginning to really teach the expectations and document them through anchor charts. With the expectations documented in writing, I could refer back to them often. There were no questions about what they should be doing or what it should look or sound like in the room. They knew (or at least knew where to find the anchor chart and figure it out.) 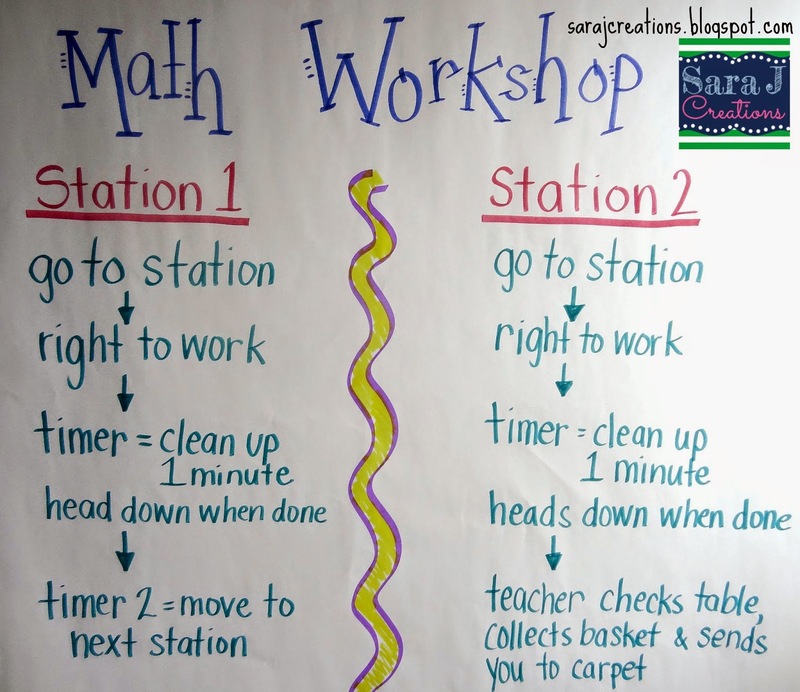 I found that the more time I spent during the first few weeks on setting up expectations, practicing going to the stations and rotating, the more smooth the rest of the year went during workshop time. Before you jump into the curriculum, teach the class a few basic games and use those as "practice stations." Then you can focus on the expectations and learning what workshop is like rather than on content. Say it again. Start slow. Set high expectations. Practice the routines. Stay organized. Need More Help Setting Up Math Workshop? 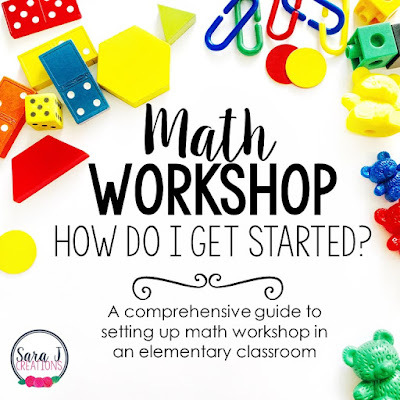 When I first started on TpT, I wanted to share what I had learned about setting up math workshop with other teachers so I created a product that explained how I did it and included tricks I had learned along the way. The past few months I've been wanting to update that product and I finally finished today. The product is now double in size. I changed the fonts and format but I also added LOTS more printables to keep you organized. I also included some pictures and anchor charts. You can find this product in my store by clicking on any of the pictures below. Download Math Workshop: How Do I Get Started Now! 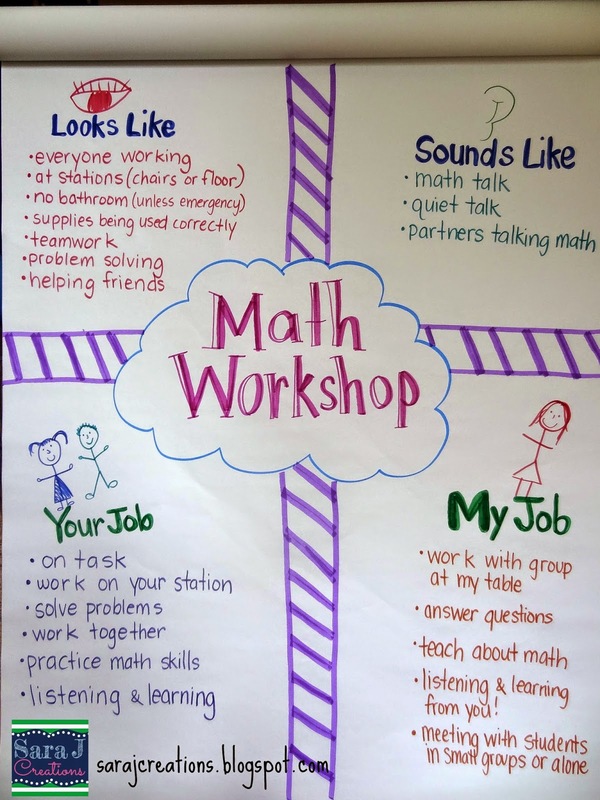 I also was a guest writer for Minds in Bloom and had 5 Tips for Setting Up Math Workshop that might also help you get started. Are you looking for more help? Still confused about how to get started? I've created a FREE 5 day email course that gives you some tips and tricks to get started. Some of these are from my Math Workshop product mentioned above, and some are exclusive to this email course. Want more info? Check out the link below for more info and to sign up. I am a former homeschooling Catholic mom of 5 children. I homeschooled for 13 years and really enjoyed it, but it was not without its challenges, of course. Last year, we were in a position that I HAD to go back to work, so I returned to the classroom after more than 15 years of being home. Wow - lots of changes. I teach 6th grade math. Do you think the math workshop model would be beneficial for middle school, specifically 6th grade? It seems quite overwhelming to come up with 6 activities each week. I haven't read your "How to get Started" guide so maybe I need to comment after that :-) Just wanted to know your opinion about the 6th grade age and if you thought it would work. Thanks and I have enjoyed reading your blog! Such creativity! Unfortunately, I do not have a lot of experience with middle school. I do think the workshop model could be used at any level with success. My initial thought is that you might need to modify it from what I've described because I'm assuming you have them for maybe an hour each day. Often my workshop time would be an hour and a half or longer. So maybe you could shorten it down and only have them do one rotation/activity a day so you would only plan 3 that each student would rotate through in the course of a week. I'm sure there are other blogs out there that might have more experience with middle school and how to structure things. I really think it can be adapted for any age group and you would just have to tweak it and make it your own to fit into the time you have. Also, those activities that you come up with each week do not always need to be new. I had many activities or games that my students did all year long so I wasn't always teaching something new or prepping something new. Does this help? Email me at sara@sarajcreations.com if I can help you at all with setting it up and structuring things.